The study areas have been transformed severely, with the original landscape converted to agriculture and pasture for cattle. 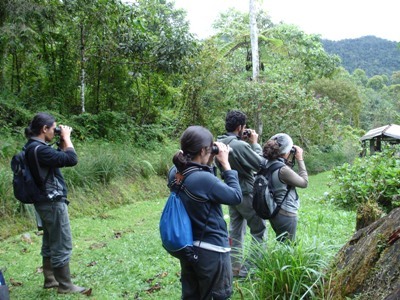 Our main objectives are a) to determine the population density of five threatened species in two protected areas of the Western Colombian Andes, and b) to promote threatened species conservation actions through involving and raising the awareness of the local people of the species and conservation of their habitat. This will be achieved using collected scientific and non-scientific information. We expect to have a biological base for development of the conservation and management plan of the five threatened species in the region.